Dr. Don is committed to excellence in dentistry and well known for educating his patients and involving them in the diagnosis and treatment planning process. He has a caring manner and a light touch with patients. He strives to be a personal health care advocate in addition to being your dentist. 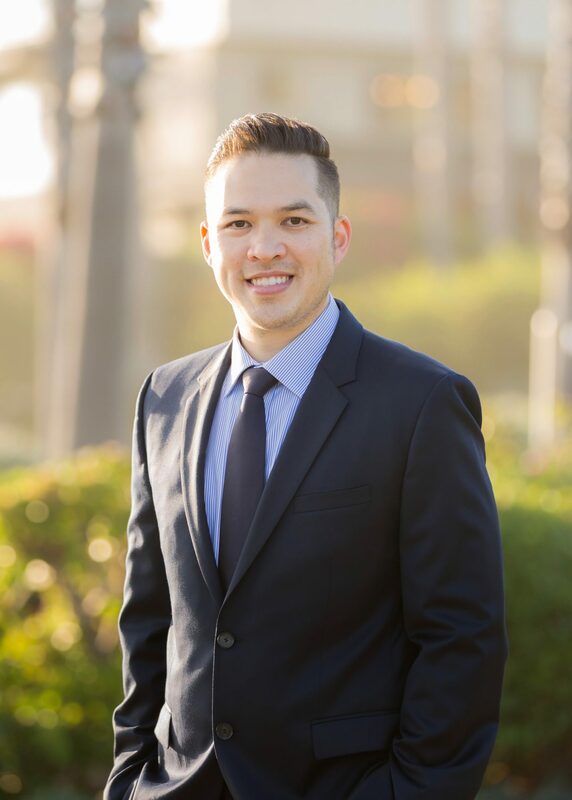 Along with continuing his postgraduate education and advancing his understanding of dentistry, he is also an active member of the American Dental Association, California Dental Association, and Orange County Dental Society. Aside from dentistry, Dr. Don enjoys traveling and has visited over twenty countries on six different continents. He believes it is important to continually give back; while at USC he participated in the school’s first dental externship to Vietnam, providing pediatric dental care to underserved children. 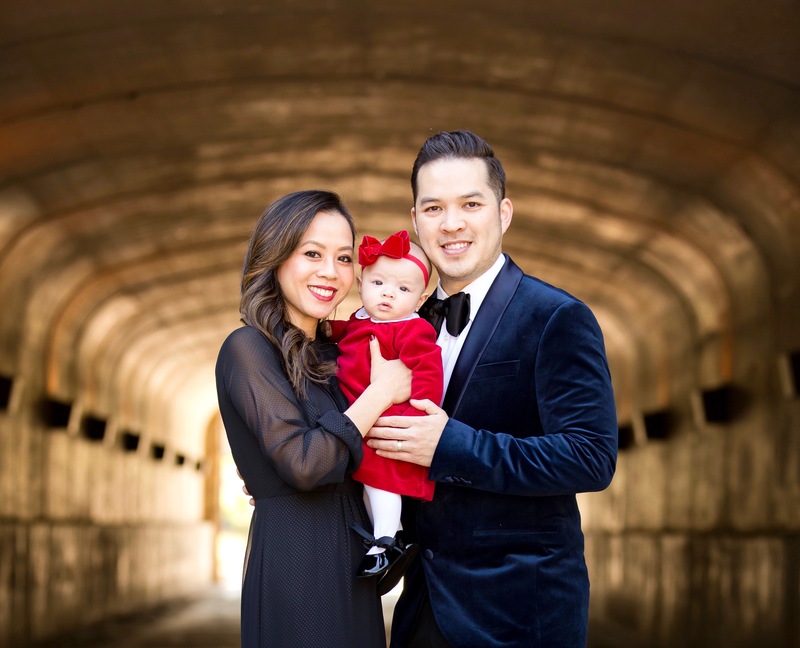 Dr. Don also enjoys college football (USC Trojans & Iowa State Cyclones), golf, photography and spending time with his wife Dr. Vivienne and their daughter Sofie-Rose. 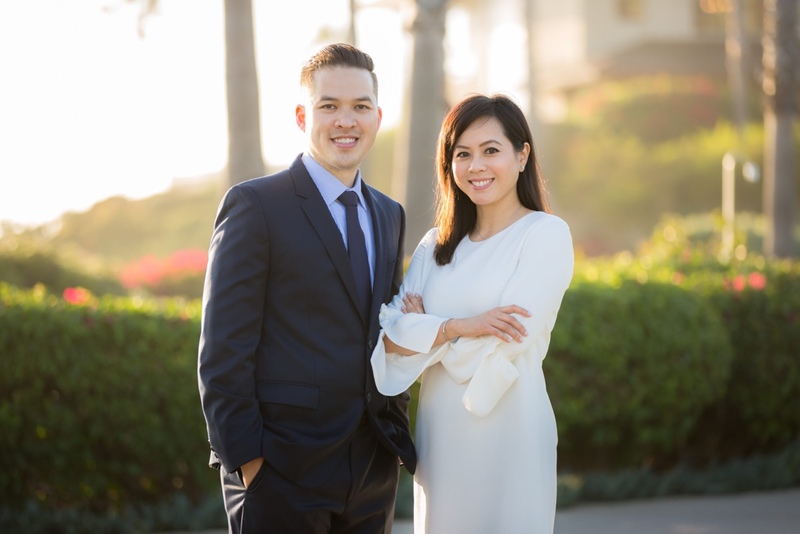 They married at Our Lady Queen of Angels Catholic Church in Newport Beach with a dream to one day work together and establish a practice that would serve their community with excellent dentistry from caring and family-friendly professionals. Dr. Vivienne Ngo, or Dr. “Vivienne” as she is known, immigrated to New Orleans, Louisiana from Vietnam at the age of one before moving to Southern California for the remainder of her childhood. 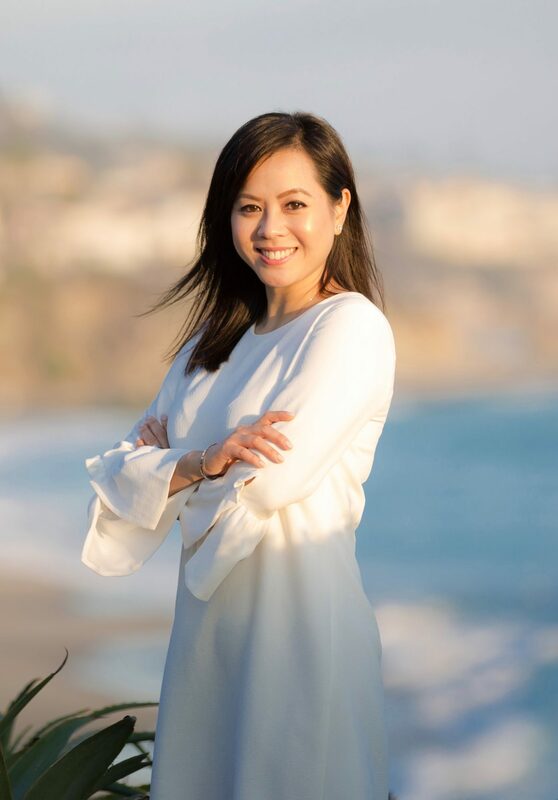 As an Orange County native, she attended Fountain Valley High School and later earned her Bachelors Degree in International Studies from the University of California, Irvine. During her undergraduate studies, Dr. Vivienne worked as a dental assistant where she developed an inherent appreciation for the dental field and the satisfaction derived from providing dental care to patients. As a result of her passion for Dentistry, she pursued and earned a Dental Degree from the University Of Southern California School Of Dentistry. Dr. Vivienne has made listening and caring the cornerstone of her practice of Dentistry. She believes that patients need to have a chance to say what concerns them, and after gathering information through examination and X-rays, an informative explanation of their choices. Along with her education, being an associate dentist in family private practices in the Los Angeles and Orange County areas have provided her the skills to be a proficient and efficient practitioner in the treatment of crowns & bridges, root canal therapy, removable prosthethics, Invisalign & pediatrics. She is an active member of the American Dental Association, California Dental Association, and Orange County Dental Society. Aside from dentistry, Dr. Vivienne finds adventure in traveling the world and exploring new foods and cultures with her husband, Dr. Don and their daughter Sofie-Rose. Her other hobbies include spending time with family, cooking, working out and reading. Dr. Vivienne is also fluent in English, Vietnamese and conversational German. Dr. Robert Hammond was born and raised in Culver City before attending the University of California, Los Angeles for his undergraduate studies in Biology. Dr. Hammond later earned his Dental degree from the University Of Southern California School Of Dentistry graduating in 1966. During that time, he was an active member of various on-campus organizations including the Psi-Omega dental fraternity and Mobile Clinics. 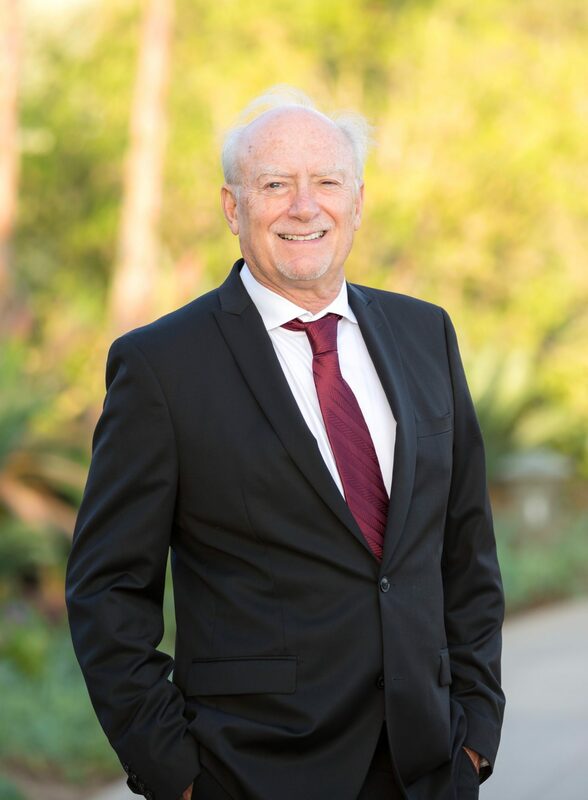 After graduating from USC, Dr. Hammond served as an officer in the U.S. Air Force before settling in the Orange County area where he worked with Dr. O’Callahan, the first dentist in Mission Viejo. In 1977, Dr. Hammond established his practice in Laguna Hills with the goal of creating a practice where good experiences are created. His practice was built on the strong belief in helping others, supporting individual health, and building a strong community. He is a lifetime member of the American Dental Association, California Dental Association, and Orange County Dental Society. Dr. Hammond has taken great pride over the years in building trusting relationships with his patients and their families by getting to know multiple generations of the same family, watching the children grow, and being a part of their lives. In his free time, Dr. Hammond enjoys spending time with his family and going out on his boat in Dana Point.